Cleaning Wizard Australia are experts in commercial and retail site cleaning. At Cleaning Wizard Australia, we do not simply clean sites, we manage the cleaning of sites. Not only does this allow us to help reduce your problems, it also lets you concentrate on your business, letting you do what you do best. This policy has resulted in our company expanding to become a national organisation, servicing all states and territories of Australia. 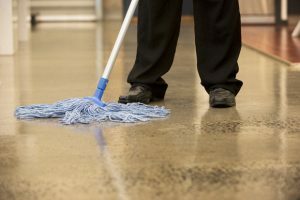 Whilst an extremely strong system is in place for our niche market of Hard Floor Maintenance in Supermarket and Retail Organisations, we have also adopted the Total Facilities Management concept to compliment the already broad range of cleaning service melbourne we can provide. With Quality Assurance certification gained in 1997, we have ensured that all systems, procedures and personnel are continually streamlined and improved in order to make our business operate more efficiently. This allows us to provide you with the best possible service. The years 1998 to 2008 has seen Cleaning Wizard recognised for its excellence in cleaning; winning numerous Golden Service Awards for best cleaned premises. We pride ourselves on our high commitment to customer service and client relations. Our Management Team are all highly skilled personnel in the industry and have the experience, enthusiasm and diversification of skills to ensure that we not only meet, but in fact exceed cleint expectations. This enhances our reputation as reliable, trustworthy and professional experts in Property Management and Maintenance Cleaning. Exceptional quality and ethical standards are the Cleaning Wizard difference. From small beginnings back in the 1980’s Cleaning Wizard has developed into a National Service Provider of exceptional quality and ethical standards.